We hear you: there’s a lot that goes into buying a home. The easy part of course is looking up fun new places online, daydreaming about your ideal kitchen reno, and checking out paint swatches. But sometimes the paperwork and financing side of things can seem challenging. Here’s the good news: financing can be super straight forward. The Michael Kaslow Team works with some stellar loan officers and lenders who want to make this process easy and comfortable for you. Below you’ll find the top 5 most common homebuyer questions regarding home loans, fees, and closing costs. We want you to be fully-prepared with information, so that the moment you submit an offer is the moment you are fully-confident about your financial future in home ownership. There’s a common misconception out there that you need 20% down to buy a home. While you do need a 20% down payment to eliminate mortgage insurance, the reality is: most people aren’t able to put 20% down. Luckily, there are many low- and no-down payment options available to you. Conventional financing allows homebuyers to get into a new home with as little as 3% down. With an FHA loan, homebuyers who may have lower credit scores, or who have had previous credit challenges, could get into a new home with as little as 3.5% down. For active military and veterans who have VA loan eligibility, a VA loan is an excellent option, as they can finance their new home with as little as 0% down. Another great zero-down payment option is the USDA loan, which is geared towards rural and suburban homebuyers. There is also down payment assistance available through a state-sponsored program called Minnesota Housing. Disclaimer: this program does require a minimum borrower contribution of $1,000 (meaning from your own funds, and not a gift). That said, this down payment assistance money can be used towards your down payment and/or closing costs. 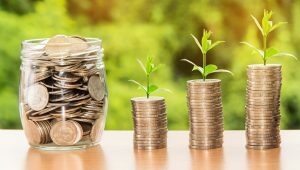 It’s important to note that this money is not a grant or “free money,” and does need to be repaid (repayment options depend upon your household income). These particular loans have a deferred payment option with 0% interest, where you repay the money when you sell the home, refinance the home, or are no longer occupying the home as your primary residence. Essentially you’d be paying the money back with the future equity of your home. These loans also have a monthly payment loan option where the interest rate matches the interest rate of the primary mortgage, and you pay the money back over a 10-year term. 2. What are closing costs and who pays for them? Closing costs are fees associated with your home purchase that are paid at the closing of a real estate transaction. These include lender fees, third-party fees, title fees, and government/recording charges. On average, closing costs will be around 3% of the sales price. Closing costs are normally the responsibility of the homebuyer; however, you can negotiate these to be covered by the seller when you make an offer (which your real estate agent can give you further guidance on!) You can also choose to lock in with a higher interest rate, and your lender can provide you with a “credit for interest rate chosen,” or lender concession, to help offset your closing costs on your new home. 3. Can I buy a home with student loans? Yes! In fact the largest buying group right now are millennials, and the majority of millennial homebuyers have student loans. 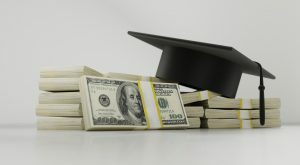 Each loan program has different guidelines regarding student loans, so it’s important to ask your loan officer how your student loans could affect your loan approval. 4. When should I begin speaking with a lender? It’s never too early to speak with a lender. Once you’re about 6-12 months out from purchasing, I would encourage you to start a conversation with a loan officer – especially if you have questions surrounding your credit, income/employment, and/or down payment. They can help address all of those questions and put together a game plan for you so you know exactly what you need to do to prepare for your future pre-approval application. 5. How long does the pre-approval & final approval processes take? 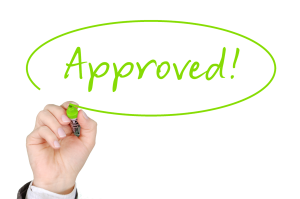 The pre-approval process is typically quick and painless. You can complete a pre-approval application with your loan officer in person, over the phone, or online, which normally takes 30 minutes or less. Your lender will then request any income, asset, and/or credit documents they will need from you, and submit through underwriting before issuing your pre-approval letter. The gathering of these documents is usually what takes the longest, so it’s best to begin collecting these items ahead of time so you can move through the pre-approval stage quickly. Once your loan officer receives your documentation, they will submit them to an underwriter for review and approval – a process that takes 24-48 hours. Your pre-approval letter will be valid for 120 days from the date your lender pulls your credit report, so you have four months to find a home and close on it before it expires. Once you’re under contract on a home, the final approval and closing process typically takes 30-60 days. However, many lenders are able to approve your loan and get you closed sooner than this! 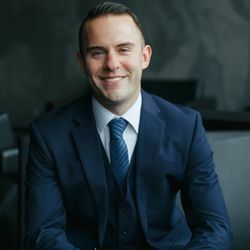 Speaking of contacting a loan officer, if you have any questions about any of the above (or beyond), please feel free to contact our loan officer, Tyler Mulcahey. These are the 5 questions he gets asked the most, and he’d love to sit down with you and chat further about your financial goals this year. Together, our goal is to empower and educate, so that you have everything you need to purchase your dream home. Otherwise, if you have questions about the home-buying process, contact any of the Michael Kaslow Team agents today. Reach out any time!